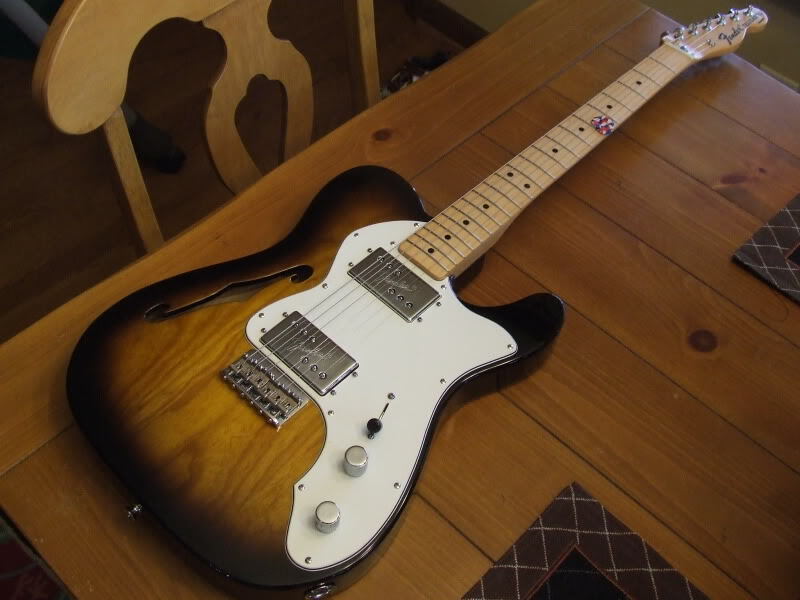 There are broadly speaking three Telecaster 72 RIs The Thinline, The Custom and The Deluxe. 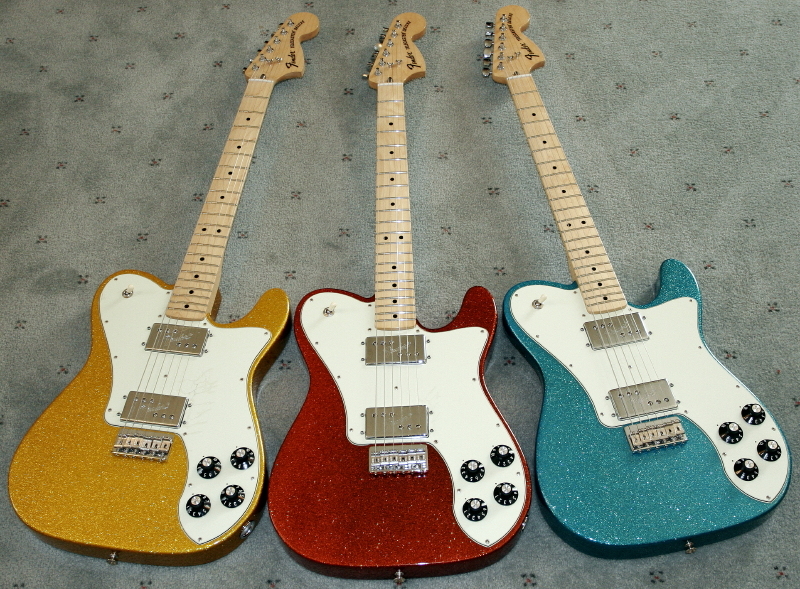 These are easily distinguished, the Thinline is a semi hollow HH with an F Hole the other two are solid bodied, the Deluxe being HH and the Custom SH. 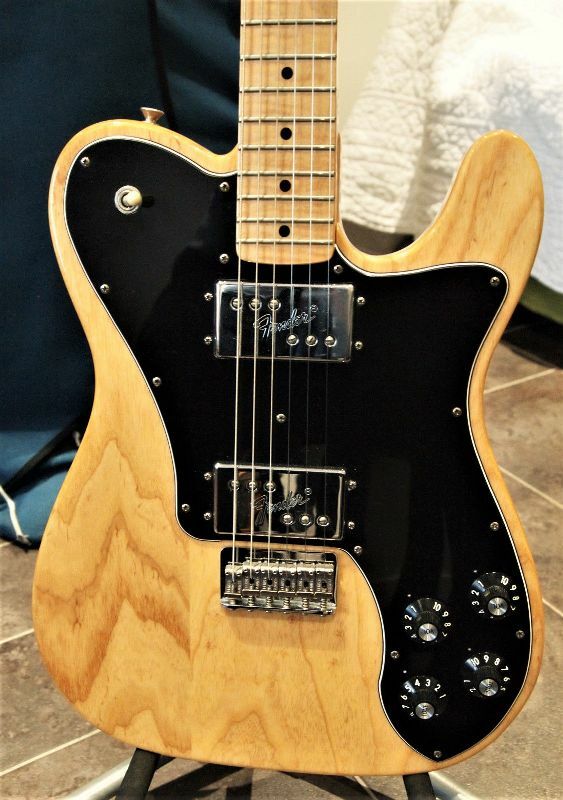 First introduced in 1999 and described by Fender as a faithful 70s reproduction it is in fact a reasonable reproduction of a version 2 thinline. 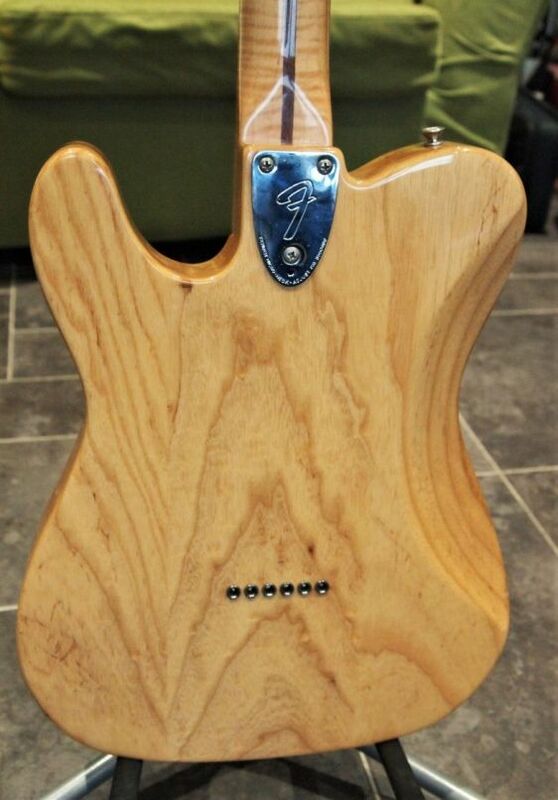 It has an Ash body and was first available just in natural but three colour sunburst was added the following year. 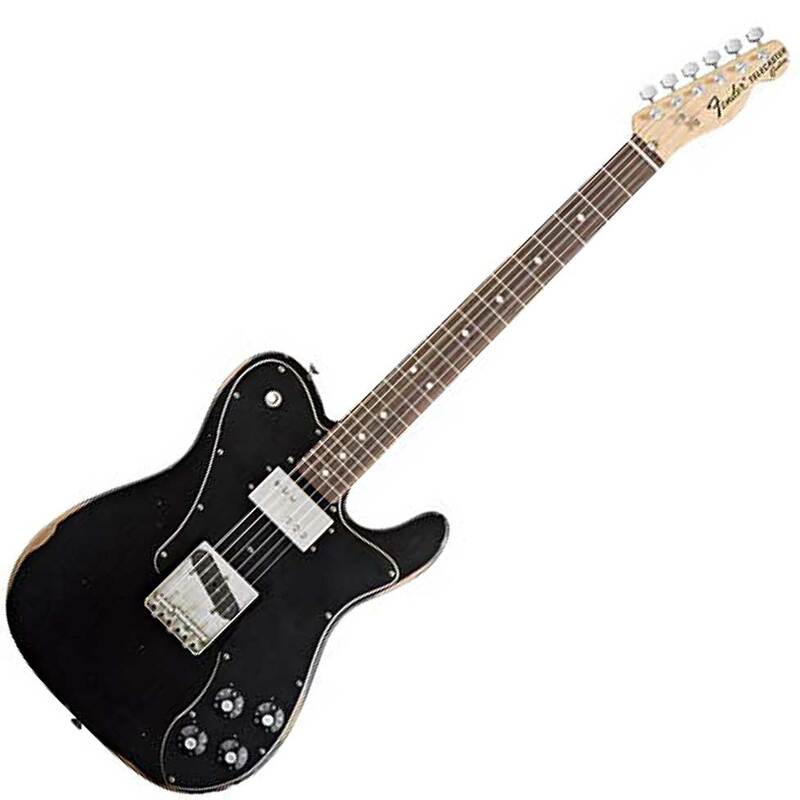 Also launched in 1999 this is a reasonable reproduction of the 70s custom but the 70s models themselves had some variations in saddles and pickguard. Available in Black or Sunburst the sunburst was alder the black alder or poplar. 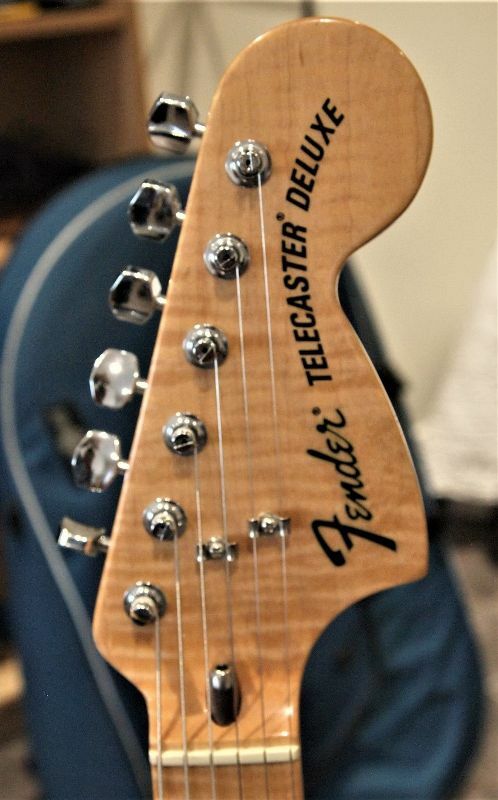 * In some of the Fender literature it says the neck profile is C in others U. 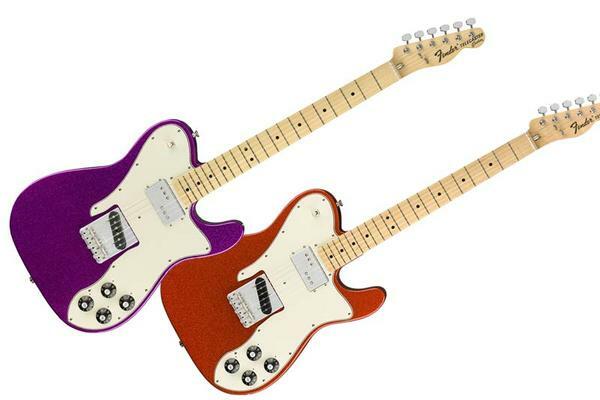 In 2010 Fender launched roadworn versions of the Deluxe and the Custom. 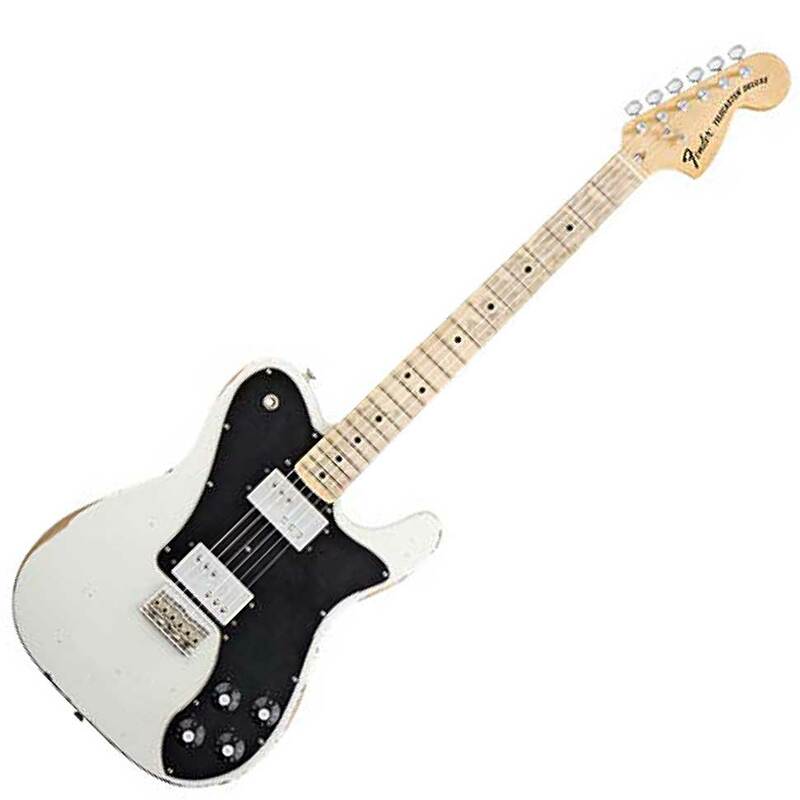 The Custom was available in Sunburst or Black an the Deluxe in Olympic White or Black. These are essentially just roadworn models of the existing range with no significant differences in the specs. It was a very short run in reality an FSR. 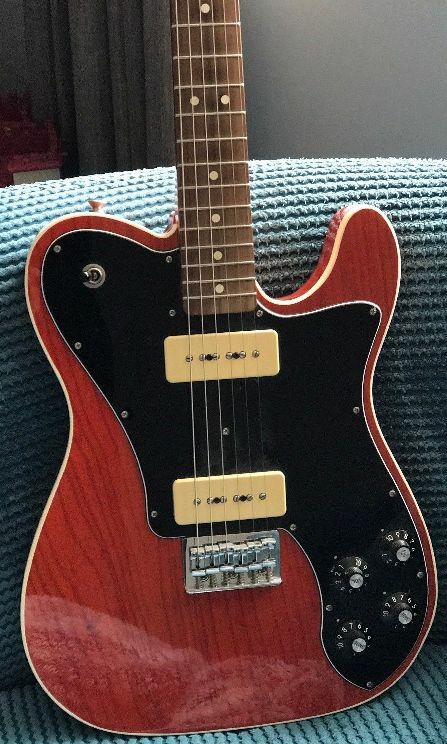 FSRs are Factory Special Runs or Fender Special Runs, opinion seems divided and they are generally for a specific dealer, a different wood or to commemorate a specific occasion, a brand or similar. 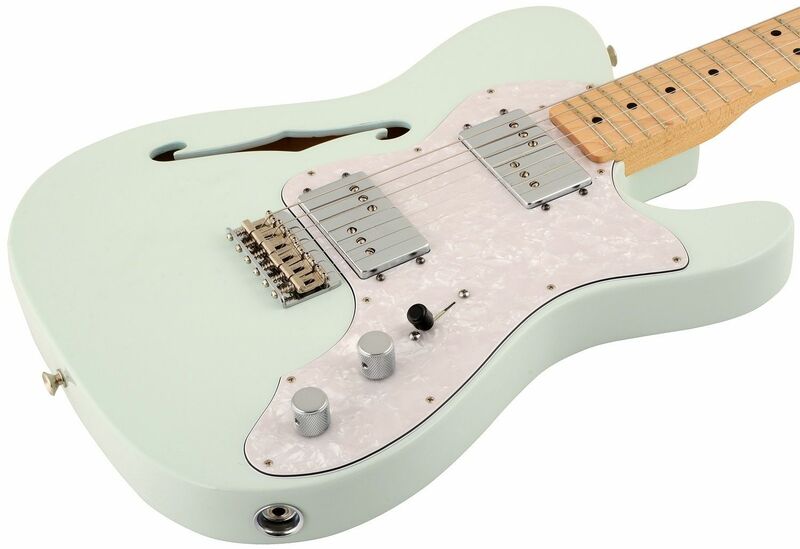 Sometimes just because Fender want to issue them. There are a number of FSRs for these models here's some of them. 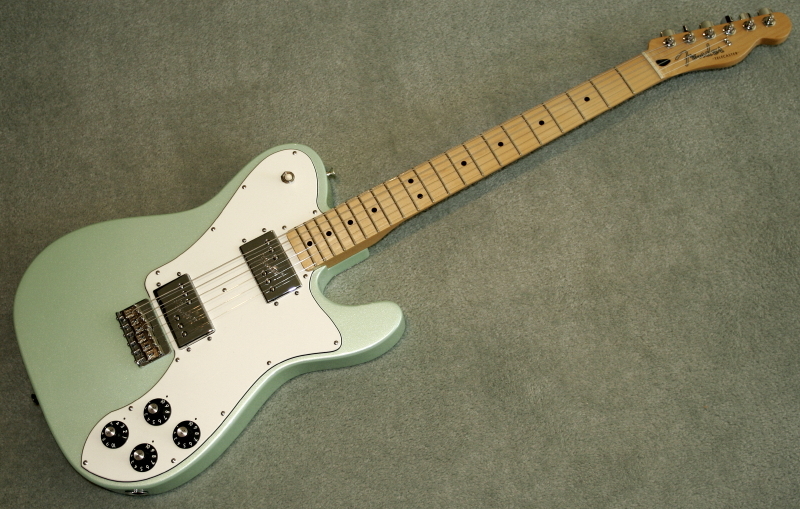 This special run was 5 custom colours with a white pearl pickguard. They are based on car colours in theory. 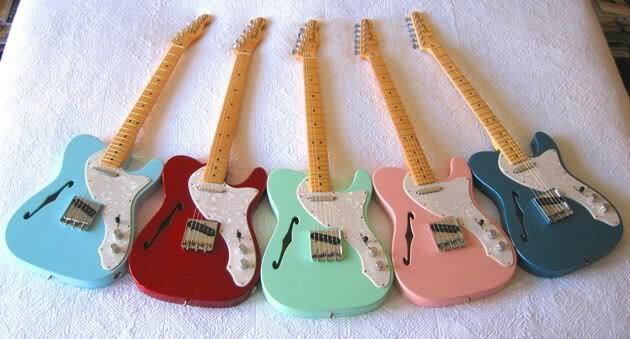 The colours are Lake Placid Blue, Daphne Blue, Candy Apple Red, Surf Green and Shell Pink. There is contradictory information on the numbers made, I have heard as few as 25 of each colour often said to be a 100 of each and sometimes more. My view is more as they do not appear to be that rare although certainly not common. There was an FSR or more than one in 2012 of the Deluxe in sparkle colours one of these had Vegas Gold, Aqua Flake Blue and Tangerine Flake. There has been a recent FSR of the Deluxe with Sparkle Colours Gold Red and Blue.I don't currently have any pictures of these. In 2011 there was a run of 300 Customs in Sunset Orange Transparent on Polyester. The body was Ash and it featured two P90s. Other Features:3-Bolt Neck Plate with Micro-Tilt™; Adjustment, “Bullet” Truss RodNut, Black Dot Position Inlays.